We are a mixed dental practice in Harlow, Essex. We offer both NHS and Private options of treatment. We take a functional approach to dentistry. Unlike other dental practices, we will offer you the earliest available appointment we have, even if it is on the day you call in case of emergencies! We have experience in smile rejuvenation. We take worn, tired teeth and transform them into bright, beautiful smiles. Whether you are seeking a subtle enhancement or a full smile makeover, we have an option for you! Dental cosmetic treatments, including anti-wrinkle injections and fillers. If you are looking for a dentist in Harlow, come to Barbara Castle Dental Surgery. We would be pleased to see you! 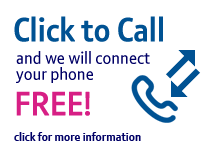 Please call us, for free, using the Click to call button. Alternatively , please email us using the contact form to start your journey. Please complete our ​Friends and Family Test and include any suggestions you would like to make to us. We would love to hear from you.